I haven’t practiced at Tehachapi Martial Arts Center (TMAC) in years but today my dad is testing for his 3rd degree and I’ve been invited to attend. Walking into the studio where eight students were practicing, I was greeted with smiles and hugs reminding me of what it meant to be a part of the TMAC family. While some may think a room of black belts practicing would be strict and intimidating, it was genuinely sweet to see each student coping with the anxiety that comes before every test. No matter how many years they have practiced or how many tests they have endured. On average, it will take a student four years to be qualified to test for 1st degree in the International Combat Hapkido Federation. However, 1st degree is the just the beginning of the journey to 10th degree (5th degree advancing to Master, 8th degree to Grandmaster and 10th being an honorable degree represented at the time of death). Each degree typically requires the student to wait as many years to test as the number that the degree represents. For example, 2 nd degree has a wait time of two years, 3rd degree a wait time of three years and so forth. 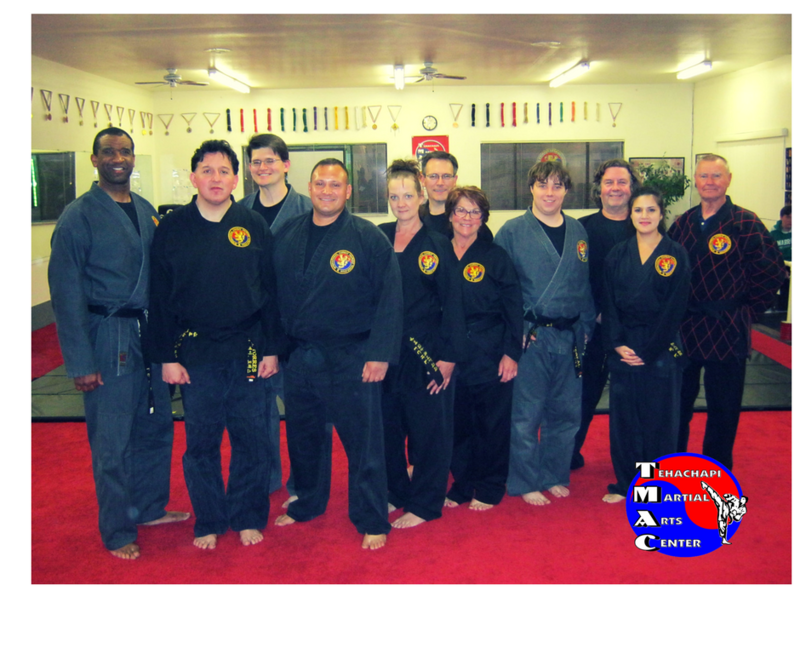 For the first time in TMAC history, eight students are testing for varying degrees of black belt, from 1-5. Needless to say, the test although intense, showed the spirit of TMAC. From the start, Mr. Carey Daneilson (testing for 1st degree) was asked to perform a technique he did not have. While everyone giggled and joked for him to make something up, with little hesitation he proved he had what it takes by doing exactly that to Mr. Logan O’dneal (testing for 2nd degree) who also showed he could handle an impromptu breakfall from a surprise technique. Another testing surprise involved Grandmaster Jadric matching up the remaining six students into two groups of three. Thus, Mrs. Maria Jadric (testing for 2nd degree), Ms. Kerstin Bassler (testing for 2nd degree) and Mr. Joe Torres (testing for 2nd degree) tested together while lining up in a triangle each taking turns facing the other to perform their techniques. This surprising testing method was also put upon Mr. Mark Oskay (testing for 3rd degree), Mr. Jeff Berchtold (testing for 4th degree) and Mr. Derek Demus (testing for Master). As the testing proceeded up the ranks, it was evident the knowledge and skill of the students increased as well. However, despite years of practicing techniques with control, accidents occasionally happen and early into their test there was literally blood, sweat and tears as Mr. Mark Oskay accidentally elbowed Mr. Derek Demus in the mouth, displaying how lethal their techniques are actually meant to be. Fortunately, Mr. Derek Demus showed his strength and discipline and was able to overcome the discombobulating accident and complete their joint test. In the end, Grandmaster Jadric proudly gave the results that everyone passed. It was an honor to witness these students from various backgrounds, ages and body types accomplish what few people, though able, have the determination to do and congratulations to them all! I’m so glad that you attend our test. It’s always a joy to see students come by and visit and get reconnected with them. I agree with you, Mr. Demus. It is wonderful to have students come and visit us. Congratulations to you and all of the students that tested.